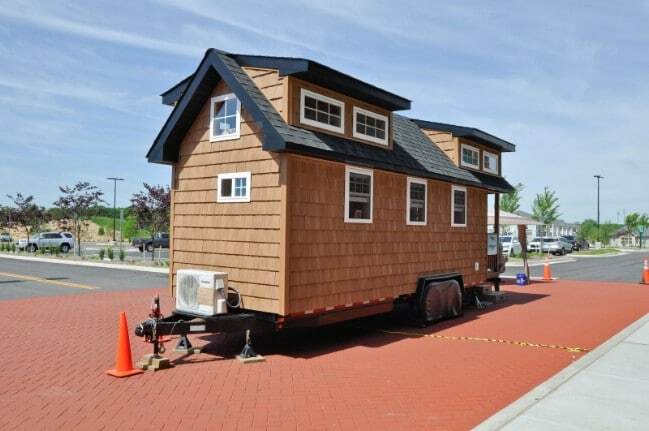 The Tiny House Building Company of Fredericksburg, Virginia recently released their Mountaineer model and it’s everything you’d hope to find in a rustic tiny house. 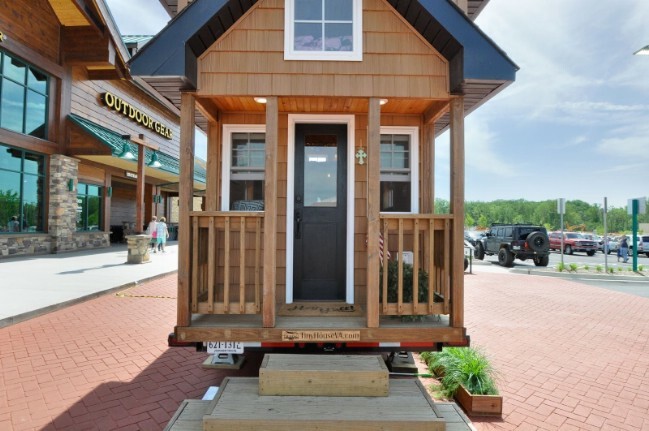 The 352 square foot home has two lofted bedrooms, plenty of storage and it starts at $65,000. We love the cedar shake shingle siding on the home and the curb appeal it has with the clean lines and classic colors. Inside, it’s easy to see why it’s called the Mountaineer! 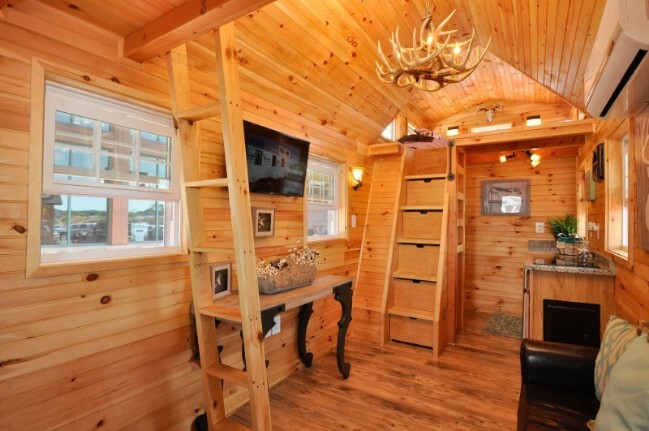 An antler chandelier is the first thing you notice once you step inside this spacious tiny house setting the tone right away. The living area is large with room for a couch, table, and a TV mounted on the wall. Beautiful wood covers every area of the rustic home for a low-key aesthetic. The open layout makes the home feel larger than it really is and lets everyone feel included no matter where you’re at in the home. 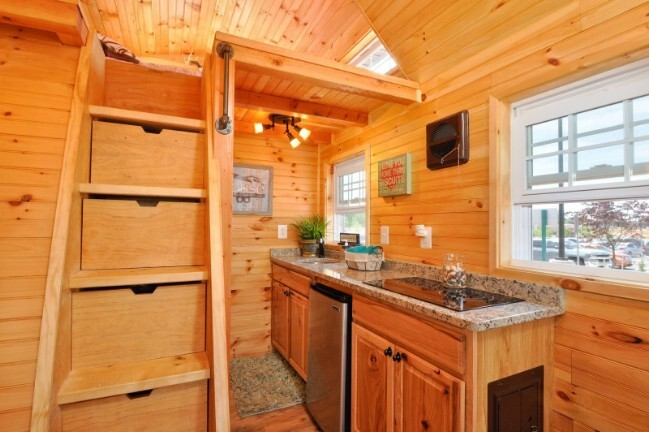 The kitchen is a galley style with granite countertops, an electric cooktop, and a mini-fridge. Custom cabinets give you plenty of room to store your dishes and you also have a slim pantry on the opposite wall. 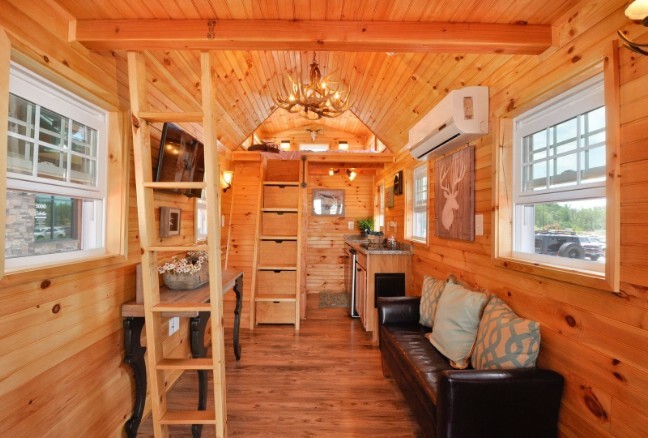 From this angle, you can see the second loft with ladder access which holds a queen-sized bed while the main loft has room for a king. 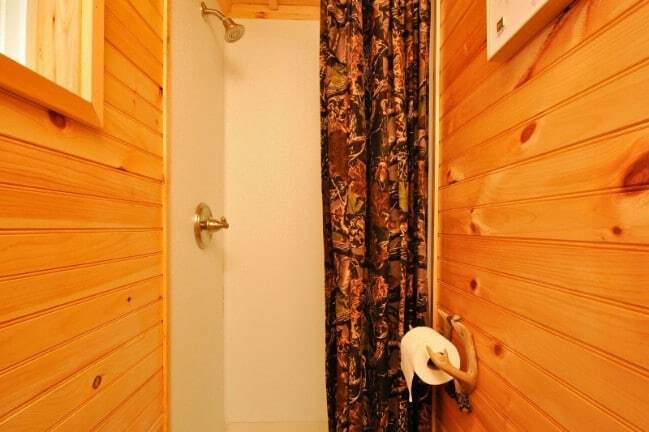 The rustic charm continues in the bathroom where you have antlers holding up the toilet paper roll! 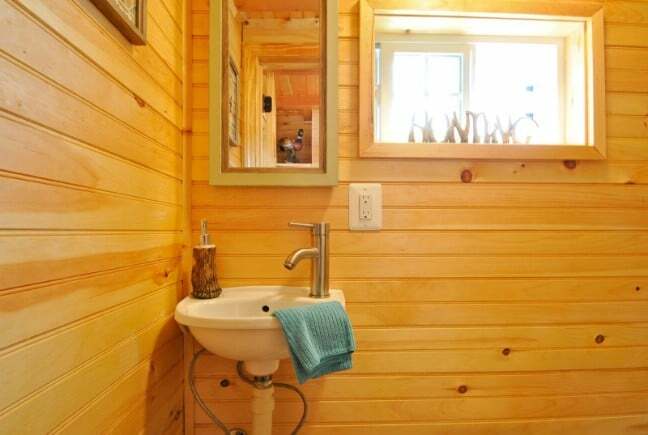 A slim shower stall is covered by a camo shower curtain and you also have a pedestal sink and medicine cabinet. 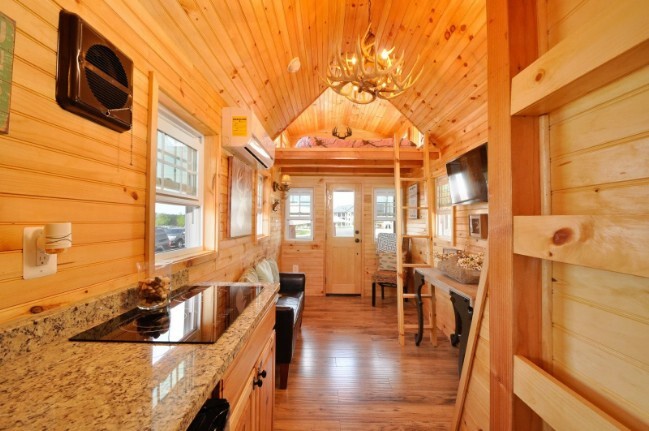 If you’re looking for the perfect rustic getaway, check out the Tiny House Building Company’s website at http://tinyhousebuildingcompany.com/.